An unexpected break in the weather today was a big bonus for Deb and I on our walk around Blue Lake and along the Plenty River in Yellowgum Park. The birds obviously agreed: squawking away like mad amongst the late flowering gums by the lakeside were finches, wattlebirds, grey fantails, a pied cormorant and even lots of endangered Swift Parrots. 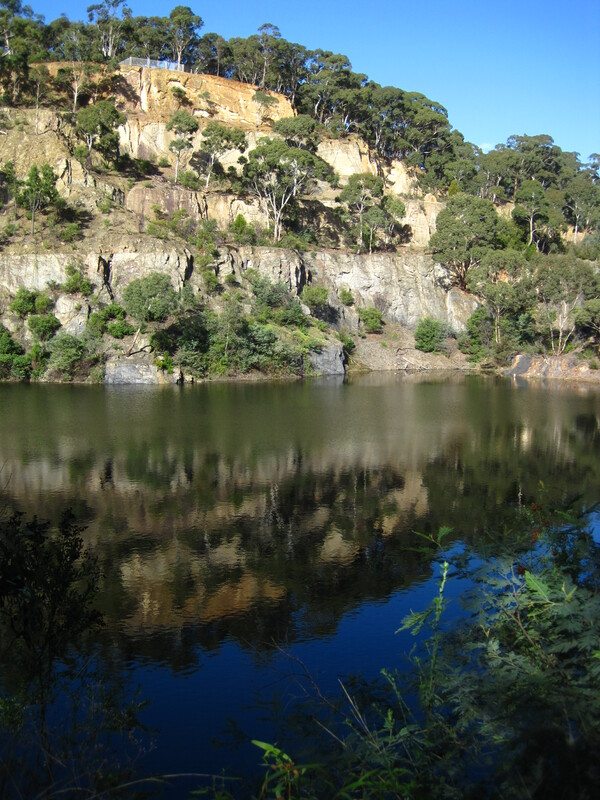 This was a great little 3km circuit for the Melbourne Walks Book, with magnificent views up and down the Plenty River and a really lovely picnic area up by the Blue Lake lookout. With just one walk left to do (sad! ), I have now listed all 44 walks by chapter headings on the ‘The Walks’ page, to whet your appetite for when Melbourne’s Best Bush Bay and City Walks is published in September. The more walks I do, though, the more wonderful tracks I find yet to do – Melbourne offers a surprise at every turn and definitely rewards exploration!